A lot has happened since February since we announced our desire to purchase the Sun Prairie municipal broadband utility. First we finished hammering out a deal we hoped would work well for everyone. Then, we brought that proposal to the city council on April 4th. Just a week later, we found out that—hurray!—the Sun Prairie City Council said YES. So what’s next? First we have to wait for all of the legalities to be completed (something we expect to be completed in the next week or so). But, just because we’re waiting doesn’t mean we’re not busy working. We’re dotting the i’s and crossing the t’s on our building plans, making sure our contractors are ready to hit the ground running the very second we have permission, and getting ready for all of the events we’re hosting and attending in the next few months. Some of those first events are meetings with existing Sun Prairie Utility customers (watch for your invite!) to talk about the transition, but that’s just the start. Come see us at the Strawberry Fest and The Taste of Sun Prairie that we’re sponsoring to kick off summer. You’ll also find us doing neighborhood events and bringing our RV to show off what TDS has to offer and also have some fun :-). 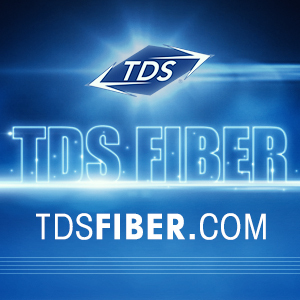 We’ll be keeping you up to date on where to find us at TDSfiber.com, so check back often for the latest.